When we say that we’ve been at this for decades, we mean it. We have been selling Volkswagen vehicles in Arizona longer than any other dealer. That means a lot, and we always want to give you the Volkswagen experience that you deserve. This is a unique brand, and we surround ourselves with unique people. This team can help you with anything that you may need. Volkswagen is a part of their lifestyle and they want to see you succeed with a VW. We care about our community here in Gilbert and we have always strived to give back. Over the years we have supported Hospice of the Valley, American Cancer Society, Make A Wish Foundation, and the Juvenile Diabetes Research Foundation. Volkswagen is about making good choices, and we have chosen to make this community as amazing as we can. We think that’s a pretty good decision. We would like to welcome you to our website. If you need a new Volkswagen, then you should browse through our amazingly huge selection of Volkswagen products. If you are looking for something used, then we can help you out there too. You can always expect reliability and safety in our used vehicles. We can even set you up with our service department and make sure that your Volkswagen has the service and the maintenance that it needs to perform well into the future. Come to Berge Volkswagen, experience our family owned atmosphere, and find exactly what you are looking for from a Volkswagen dealership. Get the new Volkswagen that you have always wanted right here at Berge Volkswagen. These are cars are the stuff of automotive dreams. They are German engineered, and they are designed to have comfort, reliability, and performance in always mind. We honestly believe these to be some of the best vehicles ever built, and here is your opportunity to take one for a drive, and even own one. How could you pass that up? Take a look through our huge selection either online or in person. When you do come here, you can rest assured that our staff will treat you with respect. With wonderful vehicles like these we do not have to use sales tactics. We just have to let these vehicles speak for themselves. Come to Berge Volkswagen to get your Volkswagen test drive today. If you are looking for something of the used variety, then you need to see the excellent selection of used vehicles that we have on our lot at Berge Volkswagen. Many of these vehicles are even Volkswagen vehicles, so that you can still get the name that you might trust in. No matter what vehicle you choose from our lot, we can assure you that it is both reliable and safe. How can we be so confident? Because we have taken the time to meticulously inspect each and every vehicle before we put it out on our lot. Our service professionals dig through everything with a fine toothed comb. If there are any problems, they are going to find them and fix them. Get your next used vehicle from Berge Volkswagen, and get something that you can be proud to drive. Get Volkswagen service from a service center that cares. We will handle anything and everything that may be wrong with your Volkswagen, and we will make sure that it is all ready to get back out on the roads for you. With our new facility you can be sure that we have the right equipment and tools, but we also have the right level of experience to deal with any problems that may come up. Let us diagnose your Volkswagen right, the first time, and let us get to work for you. The other nice thing about our new facility, is the luxurious waiting area that we have in which you can relax during your service visit and enjoy complimentary Wi-Fi. You can count on Berge Volkswagen to provide you with accurate estimates on your service, and you can count on us to get the job done quickly. Get your Volkswagen service taken care of right here in Gilbert. Service isn’t all we can do for your Volkswagen, we can also provide you with the right parts to keep your Volkswagen reliable and safe. We work with genuine OEM parts here at Berge Volkswagen, and that is what we supply to our customers. We want you to have the best part for any job, and that will always be a genuine OEM part. Speaking of parts, we have a massive inventory of parts right here in Gilbert. We want you to have all the parts that you need as soon as possible. If we don’t have it in stock, then we can order it and get it here lightning fast. Let us be your Volkswagen parts supplier and you will never be disappointed with the parts you receive or the service you get. Don’t forget, we can also install those parts for you too. 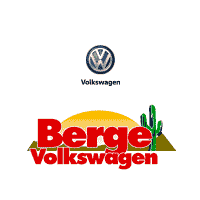 Let Berge Volkswagen supply you with all the services and parts that you need for your VW.